The annual J.D. Power APEAL Study is out, and Subaru underperforms. See where the Outback, Forester, and Crosstrek rank behind many other vehicles. The annual J.D. Power U.S. Automotive Performance, Execution and Layout (APEAL) Study is out and Subaru doesn’t fair well. The top three models, 2018 Outback, Forester and Crosstrek models all fall short. 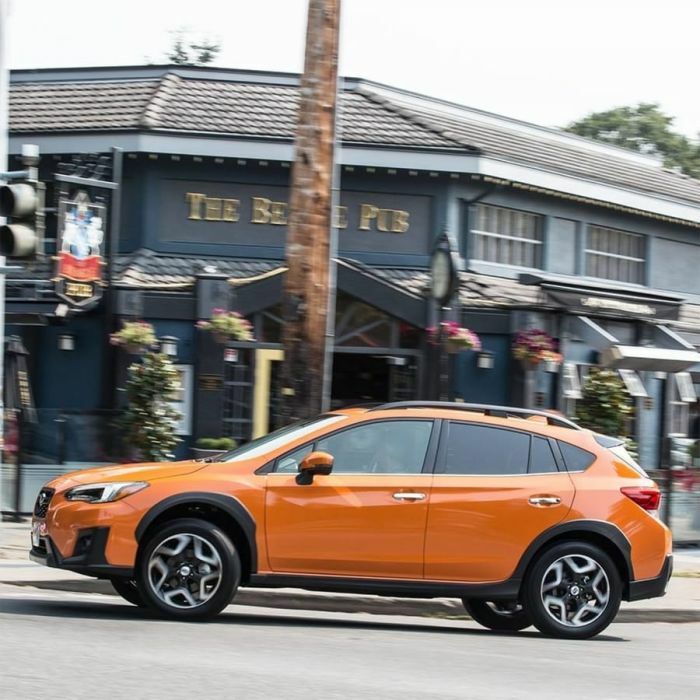 In spite of Subaru of America setting records for nine consecutive years, the study says Subaru isn’t all that gratifying to own. It goes against what many Subaru owners seem to be saying. A recent study found the brand in the top-5 of all automakers that have the most positive online and offline conversations. The newest J.D. Power study is based on responses from more than 80,000 new-vehicle buyers or lessees about how gratifying their vehicles are to own after the first 90 days. Manufacturers use the APEAL Study to help them in design and production decisions. But we aren’t sure if Subaru needs to pay any attention to J.D. Power. The 2018 Subaru Outback is the Japanese automaker’s number one selling vehicle in the lineup and popular with customers. But the J.D. Power study found in the mid-size SUV category, Buick Enclave, Nissan Murano, Volkswagen Atlas, Jeep Grand Cherokee, Dodge Durango, Kia Sorento, Nissan Pathfinder, and GMC Acadia were rated higher than the Outback SUV/Crossover. Outback is due for a complete remodel in the next two years as the brand updates the SUV-alternative wagon with the new Subaru Global Platform. In the Small SUV category, the 2018 Subaru Forester is a long-time fan favorite with their owners. J.D. Power says the Volkswagen Tiguan, Honda CR-V, Buick Envision, Mazda CX-5, Ford Escape, Nissan Rogue, GMC Terrain, Mitsubishi Outlander, and Jeep Cherokee were ahead of Forester. The 2019 Subaru Forester arrives this fall and gets a complete remodel. In the Compact SUV category, the all-new second-generation 2018 Subaru Crosstrek fairs the best of the three Subaru all-wheel-drive vehicles. The Toyota C-HR, Kia Sportage, and Hyundai Tucson rank ahead of the newly-redesigned Crosstrek crossover. Subaru updated the small SUV with better driving dynamics, a bigger cabin, and improved safety tech. It’s the hot-selling vehicle in the stable with adventure seekers. Subaru has never fared well in any of the J.D. Power studies, but the automaker doesn’t seem to be worried. If trends continue, Subaru of America will set their 10th record in-a-row in 2018. They seem to be doing more right, than wrong. The 2018 Outback, Forester, and Crosstrek all-wheel-drive models are hot with American buyers. Maybe "gratifying" is not the correct question to be asking. I am totally satisfied with my Subaru, but it is not flashy or fashionable. It is simply dependable, sturdy and fuel efficient. I love my 2018 Forester! The touring package is perfect. White pearl paint and brown Oxford leather interior is beautiful. Lots of zip and many safety features. I drove my last Forester 17 years! In the showroom, they may not score with "consumers" but the two I have are rock solid, dependable and inexpensive to operate. Paying more than 20K for a vehicle, I expect a long-term of reliable utility. The vehicles are equipped so well at a price point that makes them way more appealing than the brands that scored higher in that survey. Subaru's sales numbers speak for themselves. JD Power studies have always been a joke. The ONLY way to get great scores from JD Power is to pay them for it. How do they compare a Dodge Durango or Nissan Pathfinder with an Outback? This is really stupid. And what about all the major recalls that Dodge just came up with, did any of those “loyal” customers say anything about that?